We really do need to get over ourselves. 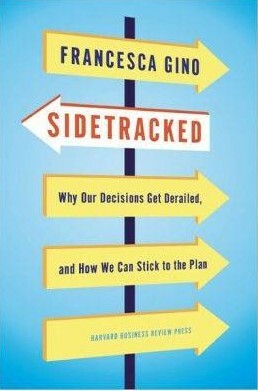 The premise of Francesca Gino's Sidetracked: Why Our Decisions Get Derailed, and How We Can Stick to the Plan is that no human or natural force can destroy our plans nearly as decisively as our own nature. 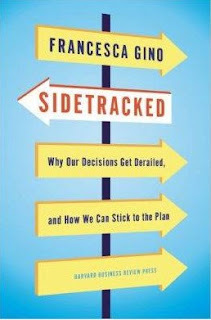 Armed with personal studies and exhaustive research on the inexact decision-making process of people from a wide range of endeavors, Gino insists that our failure to think rationally will invariably undo our best-laid plans. Gino's remedies, which include checking our emotions, scrutinizing our relationships, and deploying our highest standards, will overcome the false allegiances, unsound criteria, and blind faith that shroud our judgment. One might question the reliability of the author's studies and the validity of her references, but we have seen enough of flawed human judgment to find her summation indisputable: our greatest enemy is ourselves. 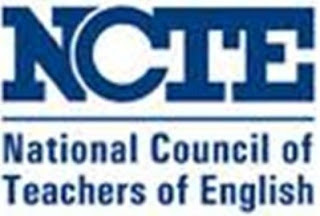 Anyone looking for an extensive and serious position statement on writing and the teaching of writing need not look further than the National Council of Teachers of English Beliefs about the Teaching of Writing. Everyone has the capacity to write. We learn to write by writing. Writing is a thinking tool. Writing grows from many purposes. Writing and reading are related. Writing and talking are related. The statement follows these premises with in-depth discussions on implications for learners and teachers. If you're a writing theorist, you should read this statement; if you just want to know what informed writing teachers believe, then you must read it. This is a rare poetry weekend for me. 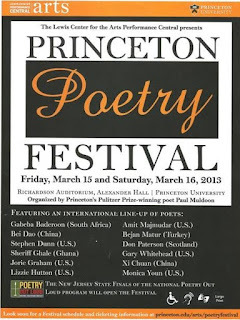 I will be attending the biennial Princeton Poetry Festival in the Richardson Auditorium, Alexander Hall on the campus of Princeton University. Eight poets will take the stage to read from their work and to discuss the theme of poetry and difficulty. Preceding the event will be the New Jersey state finals of Poetry Out Loud, a high school national recital competition. Another well known biennial event is the Geraldine R. Dodge Poetry Festival, presented in even-numbered years. This program runs over four days, features many more poets, and includes a teacher day, allowing free admittance to teachers to encourage poetry in the classroom. Nuyorican Poets Cafe, where it all began. 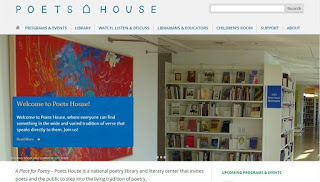 Head southwest from there, at the tip of Manhattan, and you'll be in Poet's House, a building dedicated to poetry with a library of over 50,000 volumes and weekly readings and discussions on the craft. 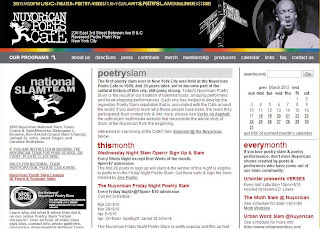 These events are welcomed reminders that poetry is still relevant in the United States, especially in the New York City area. At its best, poetry communicates the essence of human experience succinctly and powerfully, so reading poetry and attending poetry readings are excellent ways of reflecting not only on the human condition but on unique uses of language.Two of my favorite poets are Billy Collins and Stephen Dunn. Poetry can be hard to grasp, but its rewards are limitless for developing writers. You can start by reading poetry by Collins and Dunn. I have said enough in this blog about the pluses and minuses of passive voice in an 11-part series, which you can read by searching the term in the search bar on the right of this page, or by searching in the blog archive the dates below: October 11, 2010 – December 2, 2010. Topics include why active voice is not necessarily better than passive voice, when active voice works, and when passive voice works, as well as techniques for changing passive to active and active to passive. For this final post on style, I would rather remind you that passive voice definitely does have a place in good writing—no matter what uninformed writing teachers tell you. To prove this point, I use quotes from four great speeches of Shakespeare’s classic plays: Julius Caesar, Romeo and Juliet, Hamlet, and Richard III. Who would dare change this line from Marc Antony's ingenious eulogy of Caesar beginning with "Friends, Romans, Countrymen, lend me your ear," a masterpiece in the psychology of persuasion? The passive clause is oft interred with their bones sounds infinitely better than We oft inter the good men do with their bones because of the clause that precede it about the evil men do. At this moment, Romeo is brushing off Juliet’s appeal for him to flee, lest one of her family members discovers them together and in a fit of anger kills him. But the spotlight here belongs to the purpose of Romeo’s life now that he has fallen in love with Juliet. That purpose is far more important than anything anyone other than Juliet can do to Romeo's life. A far weaker active version would be, “Let their hate end my life rather than my death come without your love.” Clearly the passive is breathtaking. This romantic quote still gets chills hearing that Shakespearean line. In what is arguably Shakespeare’s greatest speech, Hamlet, searches the vast wisdom of the world in vain to choose between decisive action and suicide. The active version "The pale cast of thinking weakens our natural resolve," cannot measure up to the original. In this first sentence of the play, Richard immediately reveals an intense jealousy of his brother, Edward IV, for his success as king of England. His absolute anguish at being physically disabled and in the shadow of Edward is too much for him to bear. If the sentence had been in active, “Now this sun of York makes glorious summer of the winter of our discontent,” the idea of the sentence, the poetry of the verse, and the ugliness of Richard’s ambitions are lost. You get the point: passive voice can be just as graceful, poetic, and clear as active voice, and even when it lacks clarity, its ambiguity may suit the occasion. 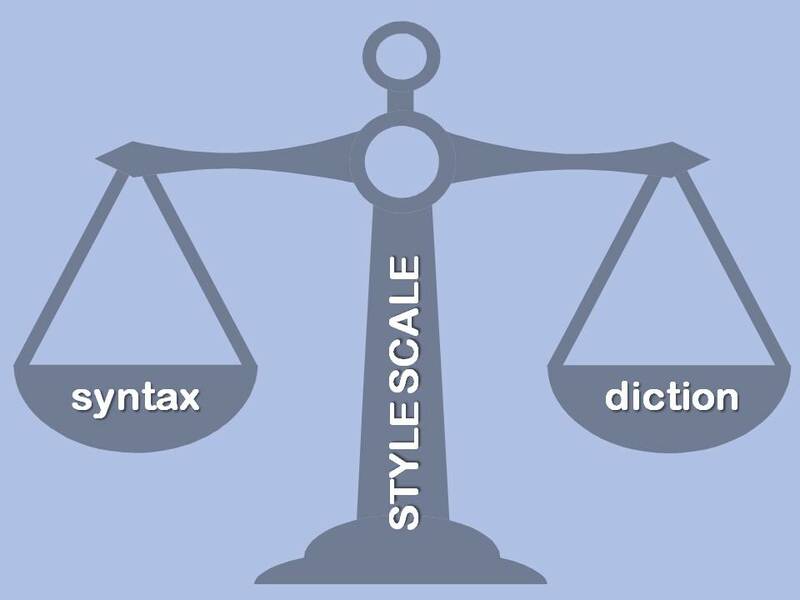 Voice is a terrific diction tool for improving style. Use it wisely. We want more participation in our go-green initiatives. We encourage staff to reuse plastic cutlery. The issue is not, however, whether to join them but how to join them as one sentence. Since our choices are virtually limitless, we would do well to remember left-branching, mid-branching, and right-branching cumulative sentences. A left-branching sentence places additional content at the left of the base clause, a mid-branching sentence splits the base clause with additional information, and the right-branching sentences inserts content at the right of the base clause. Left-branching: Encouraging staff to reuse plastic cutlery, we want more participation in our go-green initiatives. Mid-branching: We want, by encouraging staff to reuse plastic cutlery, more participation in our go-green initiatives. Right-branching: We want more participation in our go-green initiatives through staff reusing plastic cutlery. Left-branching: As we want more participation in our go-green initiatives, we encourage staff to reuse plastic cutlery. Mid-branching: We, wanting more participation in our go-green initiatives, encourage staff to reuse plastic cutlery. Right-branching: We encourage staff to reuse plastic cutlery for increased participation in our go-green initiatives. Perhaps all these sentences are grammatically correct, but only sentence 6 works for me. The first three devalue the desired staff action by marginalizing it as a dependent phrase. The fourth is just difficult to understand. Long mid-branching sentences, such as the one you are reading at this moment, which, causes gratuitous ambiguity by separating the subject and verb by twenty-three words, are the most difficult branch for the average reader to grasp. Sentence 4 adds a bit too much suspense in that nine-word opening before it gets to the point. We are not writing fiction to a leisure-seeking audience; we are writing a business message to overstimulated staff. Sentence 6 gets to the point and still provides the motivation in the right branch. Right-branching sentences are generally the most readable. Using all branches wisely cultivates a good writing style. Any branching sentence can fall apart syntactically if not edited carefully. The best way to edit cumulative sentences is to read them aloud. If they don't sound right, or if you stumble while reading them, then they need rewriting.